I make lists...lots and lots of lists. Crafts I want to make. Daily to-dos. Recipes to try. Places to travel. Decorations to use. One thing these lists have in common is money. They all cost money, in some way or another. But, I'm also a saver. It's hard for me to spend money...anything over $5 takes me a while to make a decision. Seriously, I double triple think purchases to make sure I actually want to spend my money on that particular item. Those two very prominent traits of mine counter each other. No, actually, "counter each other" makes it sound like they balance each other nicely. Really, they feud. Waging full-out wars. One-word solution: refurbishing. I'm a big fan of taking something really worn and ready for the trash bin, and turning it into something I'd actually really want. Today's project is just such a refurb. 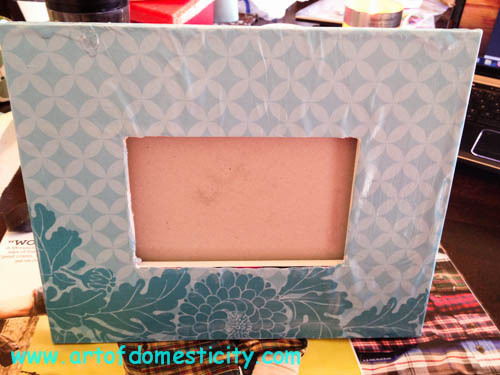 Mod Podge Picture Frame Refurb. 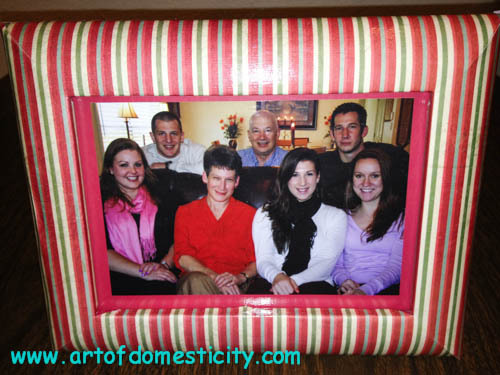 I got this scratched and super worn picture frame at Goodwill for $1. Obviously it's in need of some TLC. 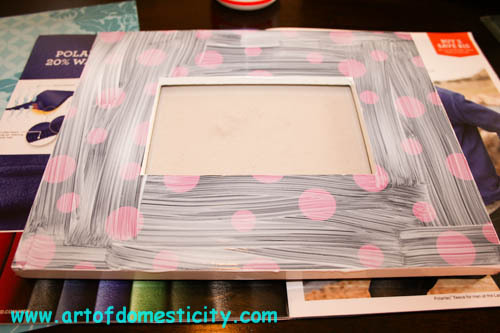 After covering the table with old magazine pages to protect the wood, I smeared (painted) the frame surface with a thick coating of Mod Podge. 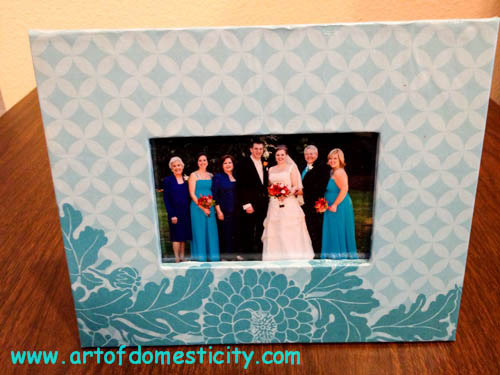 Then I put some Mod Podge on the back of some pretty cardstock and adhered it to the frame. Get it as bump-free as possible, but there will be some bumps. This really worried me, but they smoothed out while drying. 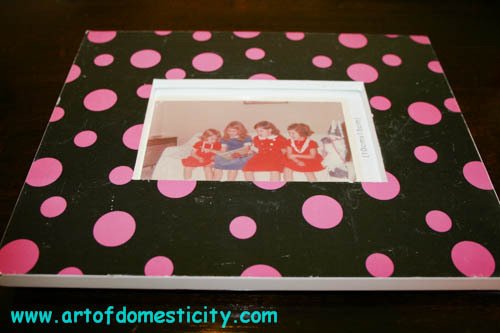 Cover the top with a layer of Mod Podge. Let dry, and repeat surface coverage a few more times (I did it about 3 times to get a good seal). I also tried it with a curved frame to see how that would work. I REALLY like how it turned out! 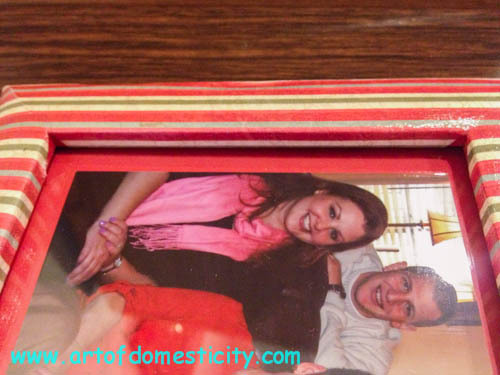 I wanted you to be able to see the details of the inside edges - I pulled some of the cardstock over it to tie it all in.